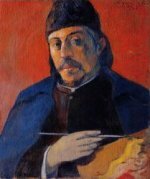 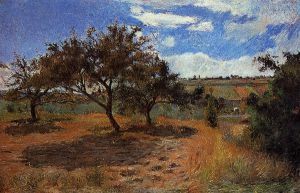 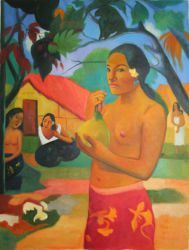 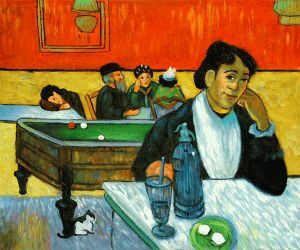 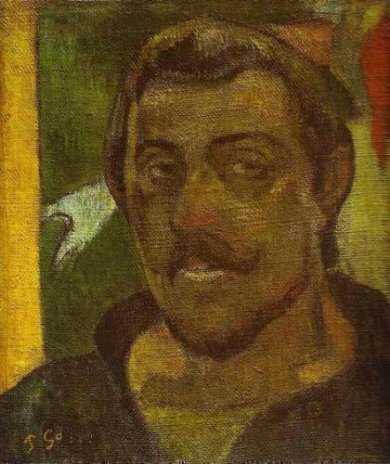 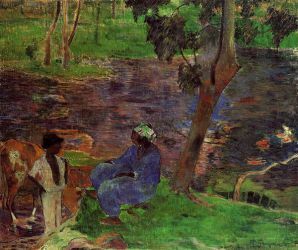 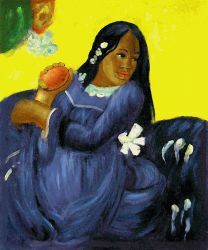 Eugène Henri Paul Gauguin (7 June 1848 – 8 May 1903) was a leading Post-Impressionist painter. 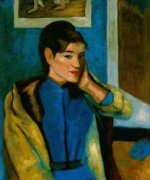 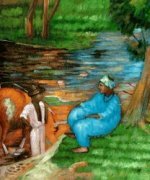 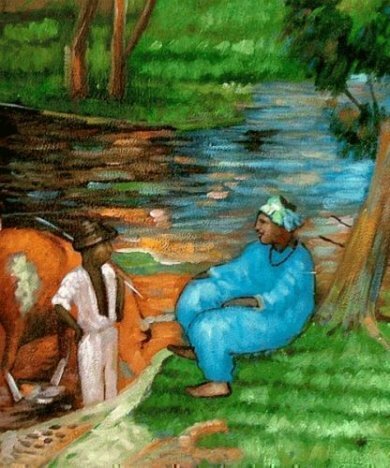 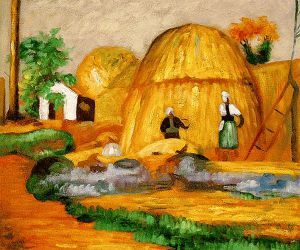 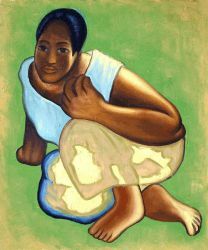 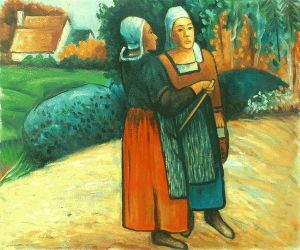 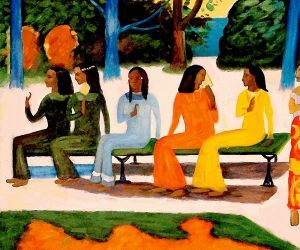 His bold experimentation with colouring led directly to the Synthetist style of modern art while his expression of the inherent meaning of the subjects in his paintings, under the influence of the cloisonnist style, paved the way to Primitivism and the return to the pastoral. 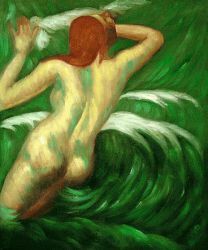 He was also an influential exponent of wood engraving and woodcuts as art forms.